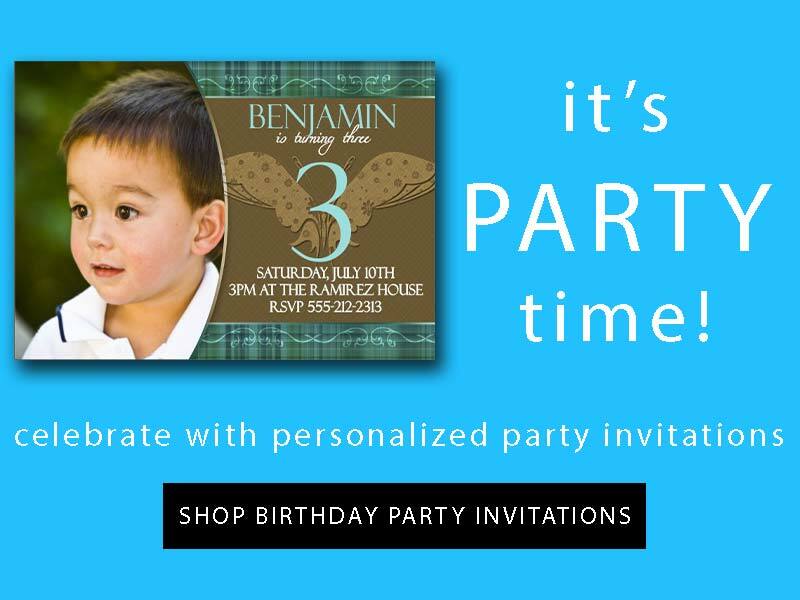 Personalized Party Invites invites you to view our freshest and most unique kids birthday invitations, boy birthday invitations, girls birthday party invites, gender neutral party invitations, first birthday invitations, photo invitations and more. Your children and their pals will be wowed by these snazzy birthday invites! With bright. vibrant and bold colors our birthday invitations will let your loved ones know it's a birthday party they shouldn't miss! Browse hundreds of delightful templates and you are sure to find the perfect invitation for your event!